Celebrate July 4th with fireworks, chalk art, live music, a children’s bike parade and much more! The public is invited to watch the chalk artists create their designs on the west side of Ann Morrison Park, near Americana Boulevard entrance to the park. Artists will create their sidewalk chalk art from 8 a.m.-4 p.m. Judging takes place after 4 p.m., followed by an announcement of the award winners. Public voting for favorite artists is ongoing throughout the festival. Chalk Land, a free area for children age 11 and younger, is designated for kids who want to draw with chalk and create their own sidewalk chalk art. The Chalk Art Festival is FREE to the public. Boise Parks & Recreation’s Mobile Recreation staff members will coordinate free supervised drop-in activities from noon-7 p.m.. Activities change on the hour. Kids will love playing dodge ball, capture the flag, an art project, soccer games, face painting, and more! Balloon artist Eric Floyd will delight children and adults alike with fantastical animals and other designs from 2:00-10:00 p.m. at a location in the shade near the playground. Boise Parks & Recreation has partnered with George’s Cycles to provide multiple bicycle events throughout the day near the playground at Ann Morrison Park. A bike rodeo will be held from noon-7 p.m. The fun begins at noon for the children’s bike decorating contest. Bikes can either be decorated in advance or festooned with decorations provided by Zurchers (while supplies last) at the park through 1:30 p.m. Starting at 1:30 p.m., kids are invited to join Boise Police bike patrol officers on a parade through the center of the park. For the parade route, please see the map. 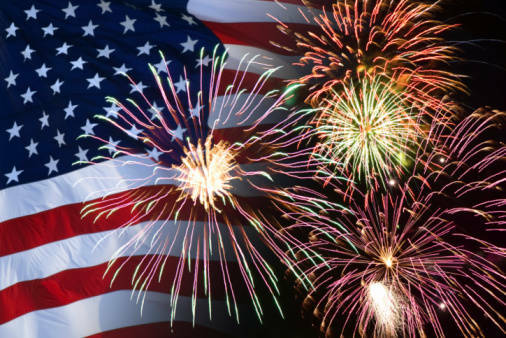 At 1:45 p.m., winners of best decorated, most patriotic and crowd favorite will be announced. Adult riders will enjoy a new 4-Mile Bike Slow Roll that will begin and end in Ann Morrison Park. Displaying your patriotism through decoration during the ride is encouraged! Join instructors for free educational activities at the Old Timer’s Shelter next to the Greenbelt in the northeast corner of the park. Activities include dance, yoga, an overview of the fireworks show and more! 2:00-3:00 p.m. — The Lotus Tree will teach a yoga/dance/art lesson. Slip and slide on a 1,000-foot Slide the City water slide down Americana Boulevard! This giant water slide is located at the entrance of Ann Morrison Park. The slide will be open from 10 a.m.-10 p.m. This is a great way to beat the heat. Admission information is available at http://www.slidethecity.com/events/boise/. After the fireworks, sit back and relax while many people are exiting the park. Enjoy the G-rated IMAX 3D film “Under the Sea,” an underwater look at the diverse coastal regions of Southern Australia, New Guinea and the Indo-Pacific areas and the impact of global warming on the oceans. Narrated by Jim Carrey. 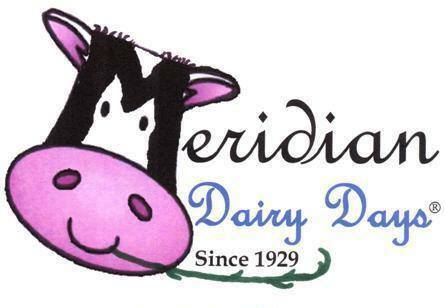 Dairy Days features a host of FREE activities for the entire family this weekend (6/19 & 6/20) at Meridian Speedway and Storey Park (both located at corner of Franklin and Main in Meridian). There’s truly something for everyone so check out the list of FREE activities below and join the fun this weekend! 12:00 noon: Dairy Bike Rodeo at the Meridian Speedway featuring bike races (Slow & Fast), bike decorating, skills course (Can you swerve, turn, and dodge?? ), helmet fittings, tune-ups, games, prizes, and more! All activities are FREE! Cars.com has recently launched a handy reference tool to help ensure driver’s never overpay for an auto repair. Their new “Service & Repair” feature: http://www.cars.com/auto-repair/ provides a fair price estimate specific to your vehicle for a full spectrum of automotive repairs. The online tool also helps drivers find local service providers and offers reviews from actual customers to help them find a quality mechanic. 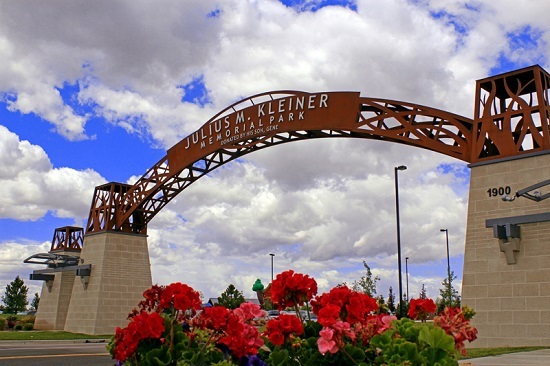 Join the festivities this Saturday, June 13th to pay tribute to the extraordinary generosity of Gene Kleiner, who donated Julius M. Kleiner Memorial Park to the City of Meridian in honor of his late father who once farmed the land on which this glorious park now sits. The event will feature a variety of FREE activities and performances for the entire family, highlighted by an evening concert with the Meridian Symphony Orchestra. 5:00pm – Event opens near the bandshell with FREE inflatables, face painting and balloon artist. 6:00pm – At the playground, a new youthful-themed statue will be unveiled. 6:15pm – FREE ice cream will be available for everyone in attendance, provided by Whole Foods, immediately after the statue unveiling ceremony. 7:00pm -The Meridian Symphony Orchestra will perform a FREE outdoor, family concert. For more information about Gene Kleiner Day, please contact the Meridian Parks and Recreation Department at 888-3579 or recreation@meridiancity.org. 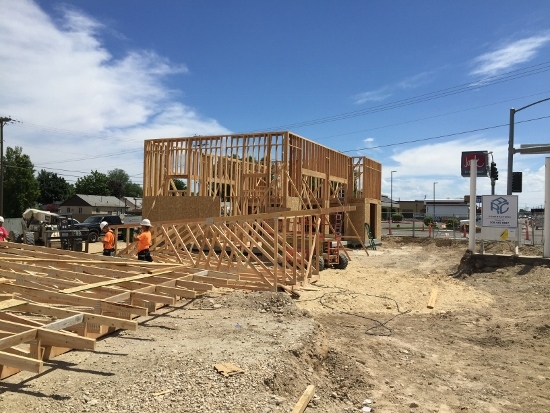 South Nampa Location Has Gone Vertical! Construction is progressing rapidly on the new 12th Avenue Einstein’s location in south Nampa (across from Nampa High School). All indications point to a grand opening in early August! We look forward to serving you in south Nampa this summer!